Time to get an overview of market-proof XBRL solutions which have an active customer base in Europe. 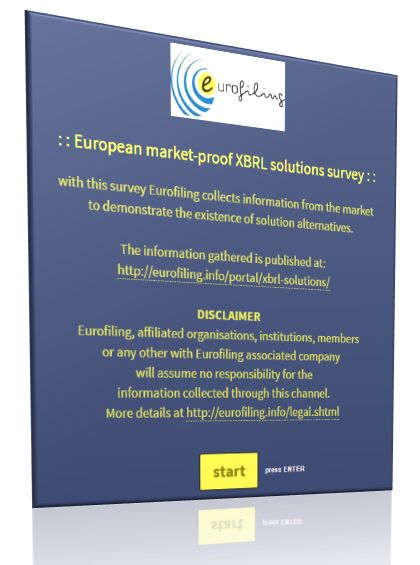 In order to feed this overview, Eurofiling gently requests XBRL tool vendors to follow the link and add software solutions to the list. In order to avoid erroneous information, any entry on the list will be reviewed by Eurofiling prior to publishing on the page.